Lafayette Landing looks and feels like the classic American neighborhood, belying the fact that it is a rental community. Composed of 83 houses and 120 apartments, all are designed to maximize space, comfort and privacy. The homes come with either a large garage or a spacious office; the apartments are equipped with great windows, walk-in closets, and big laundry rooms. 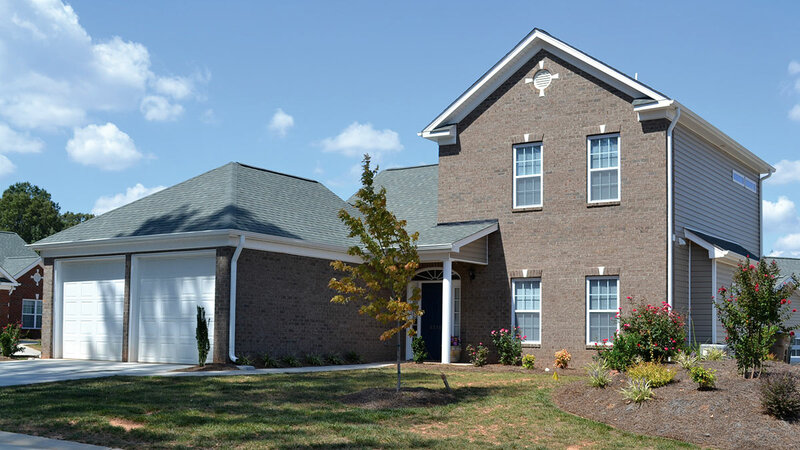 Lafayette Landing homes feature first-class amenities, a given for all BSC communities. Each unit has granite kitchen and bathroom countertops as well as handsome wood cabinets. The bathrooms have ceramic tile on floors and tub surround and each has its own gas fireplace. It’s also maintenance-free and HOA-free! All residents of Lafayette Landing have access to the phenomenal community clubhouse and its top-of-the-line fitness center, billiards room, and business center, all accessible 24 hours a day. 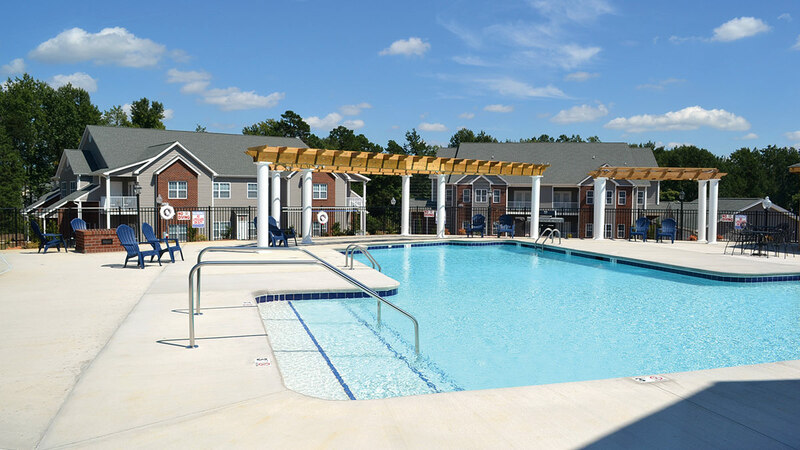 Outdoors, residents enjoy the resort-style pool and meet friends at the grilling and hammock stations. Great shopping and entertainment are a stone’s throw away at Wendover Place in Greensboro and at the Palladium 14 and Imax movie theater in High Point where more than a dozen restaurants serve forth a varied cuisine.